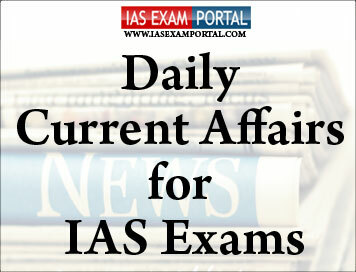 Current Affairs for IAS Exams - 9 August 2018 | IAS EXAM PORTAL - India's Largest Community for UPSC Exam Aspirants. Justice MadanLokur and Attorney-General K.K. Venugopal sparred on whether the Supreme Court’s orders on PIL pleas, such as those on better facilities for undertrial prisoners, amounted to unreasonable expenditure on the public exchequer. The court was examining ways to end the over-crowding of prisons and condition of undertrial prisoners languishing in jails. It also wanted to set up a committee to look into the conditions in prisons. Over 30 thousand crore rupees were collected for the benefit of building and construction workers but the money is spent in buying washing machines. The court said it could not abandon its duty to protect the citizens’ fundamental right to life and dignity. Justice Lokur said the court and the government were not adversaries. Attorney general Mr.Venugopal said the efforts of the court has been “tremendous” over the past years. The court then ordered setting up of a committee to be headed by a retired Supreme Court Judge and assisted by “two or three other officers” to look into the issues of prison conditions. CII-NITI Aayoghave entered into a three-year partnership and an MoU was signed. This partnership focuses on specific activities that seeks to develop: 1. Vision and Action Agenda for businesses and industries to contribute to SDGs; 2. Annual Status Reports; 3. Sector-specific Best Practise Documents. The Minister said that in sustainable development three things matter the most: energy, water and circular economy/green industry. To action his 2022 agenda, he expressed confidence that India will achieve its clean energy goals even earlier than 2022 and urged everyone to be conscious and responsible towards the environment. CII launched the report—Indian Solutions for the World to Achieve SDGs. The report deep-dives into each of the SDGs, targets and business implications thereof. The report cites examples that illustrate how companies have incorporated the SDGs framework into their business strategy and gone about achieving them. Government e-Marketplace (GeM),the National Public Procurement Portal,will turn 2 years old tomorrow.It was launched on 9th August 2016, with the objective of creating an open, transparent and efficient procurement platform for government.Over its short journey, GeM has achieved many significant milestones. GeM has grossed over Rs. 10,000 Crores in Gross Merchandise Value (GMV) through more than 6.16 Lacs transactions on the platform.These products and services are being bought by over 25,000 government organisations (Central, State Governments and PSUs) registered on the platform. MoUs have been signed with 8 banks for payment integration (State GeM Pool Account-SGPA, Electronic Performance Bank Guarantee-ePBG, Electronic Earnest Money Deposit-eEMD) to facilitate a cashless contactless and paperless payments system on the platform. Integration with Quality Council of India ( QCI) for ensuring quality compliances of the products and services offered through GeM. Union Minister of Commerce & Industry and Aviation Suresh Prabhu launched NiryatMitra – mobile App in New Delhi today. The app developed by the Federation of Indian Export Organisations (FIEO) is available both on Android and on IOS platforms. It provides wide range of information required to undertake international trade right from the policy provisions for export and import, applicable GST rate, available export incentives, tariff, preferential tariff, market access requirements – SPS and TBT measures. The app works internally to map the ITC HS code of other countries with that of India and provides all the required data without the users bothering about the HS code of any country. Presently the app comes with the data of 87 countries. The Minister further stated that the app will provide big opportunity to everybody and help promote export interests in the country. He invited the industry to make the most of the app and take to exports. He also said the Human Resource tool of the app enables candidates with interest in the international trade sector to register and apply against the vacancies arising in the sector. Companies can also search the profiles of the candidates and engage them. Zimbabwe’s MDC Opposition party on Wednesday vowed to overturn in court President EmmersonMnangagwa’s narrow election victory, alleging that he won the vote via “mammoth theft and fraud”. The MDC has until Friday to lodge its suit after Mr.Mnangagwa won 50.8% in last week’s vote, just scraping in above the 50% run-off threshold. The Constitutional Court must rule on the petition within 14 days, delaying Mr.Mnangagwa’s planned inauguration. Also, Senior MDC figure TendaiBiti was arrested as he tried to flee to neighbouring Zambia to seek asylum early on Wednesday, his lawyer said, allegedly on charges of inciting violence over the disputed vote count. Mr.Biti last week claimed victory for the MDC, triggering celebrations the day before soldiers opened fire on MDC protesters and before the final presidential results were announced. Foreign Secretary Vijay Gokhale arrived in the American capital on Wednesday for talks with senior U.S. officials ahead of the first India-U.S. 2+2 dialogue in Delhi in September. Secretary of State Mike Pompeo and Secretary of Defence James Mattis are scheduled to travel to India for the 2+2 dialogue with their Indian counterparts, External Affairs Minister SushmaSwaraj and Defence Minister NirmalaSitharaman, respectively. Both sides are encouraged by the buoyancy in bilateral ties in the last two weeks, soon after the postponement of the 2+2 dialogue that was scheduled for the first week of July in Washington. India has been granted the Strategic Trade Authorisation, or STA-1, status that placed it with a group of 36 countries, mostly NATO allies. Japan and South Korea are the only Asian countries in this group. The status allows for sale of more sensitive technologies to India than was earlier permitted. Indian Navy also participated in the Rim of Pacific Multinational Naval exercise last week. NASA’s Curiosity rover — a mission that has spotted evidence of liquid water as well as potential signs life and habitability on Mars, has completed six years on the red planet. The Mars Science Laboratory mission’s Curiosity rover landed on the red planet’s Gale Crater on August 6 2012, using a series of complicated landing manoeuvres never before attempted. Curiosity’s mission is to determine whether the red planet ever was, or is, habitable to microbial life. The specialised landing sequence, which employed a giant parachute, a jet-controlled descent vehicle and a bungee-like apparatus called a “sky crane,” was devised because tested landing techniques used during previous rover missions could not safely accommodate the much larger and heavier rover. The Indian under-16 national football team maintained its winning streak, defeating Yemen 3-0 in the five-nation WAFF u-16 football championship at Amman. After central defender Harpreet Singh headed in the first goal in the 37th minute, two goals in two minutes immediately after resumption took the issue beyond Yemen’s reach.